It’s hard to know what to do with the first Sunday after Thanksgiving. When it’s the first Sunday in Advent, if you’re in a context that observes the liturgical calendar, it’s a little more straightforward. In years like 2017, however, we all have an extra Sunday to work with. Thanksgiving celebrations run the risk of feeling trite. How can we give thanks when the premise of this entire holiday is genocide and generational banditry? How can we give thanks when our world is so profoundly broken? How can we give thanks when we’ve just spent the weekend navigating strained relationships, difficult conversations, and painful family dynamics? The shallow proclamation of thanks that we often hear in Thanksgiving worship services just doesn’t ring true. This Thanksgiving Lessons and Carols service acknowledges both our pain and God’s call to gratitude. It starts in a traditional mood, singing a familiar table blessing, speaking a familiar psalm, and singing a familiar hymn. Then the service moves into a time of introspection and longing, The Lone Wild Bird signaling the shift. As the hymns and readings progress, we move to a place of fuller gratitude for having been to the depths of sorrow. Our faith reminds us that even in death, there is the promise of resurrection. In despair at our chaotic world? In the fatigue of modern life? In the reality that the very first Thanksgiving was an extension of the genocide that stole this land from its true stewards? Today, as we worship, we will begin with the traditional kind of Thanksgiving celebrations, but as we move deeper, we will explore the kind of gratitude to which God calls us. Not the simple kind of gratitude for good things that happen, but gratitude with teeth. Gratitude which keeps hope alive, which carries the promise of resurrection, and which connects us to our Creator. Let us join our hearts in worship. One: Make a joyful noise to the Lord, all the earth. All: Worship the Lord with gladness; come into God’s presence with singing. One: Enter God’s gates with thanksgiving, and God’s courts with praise. All: Give thanks to God, bless God’s name. All: And God’s faithfulness to all generations. Let us give thanks to God for all God’s gifts so freely bestowed upon us. Permission to reprint reprint this poem, whether online or in church bulletins, must be obtained from the poet and/or publisher. Gracious God, your gifts are unending. The smallest seed of promise is transformed into the greatest blessing. We dedicate these gifts to your work of transformation, offering hope in the midst of despair and gratitude in the midst of chaos. Remind us each day that we are participants in your great promise. Amen. Corinne Freedman Ellis serves as Minister of Congregational Life at Macalester Plymouth United Church, a UCC and Presbyterian Church (USA) united congregation located in St. Paul, MN. She is passionate about youth and young adult ministry and finds great joy in facilitating faith formation and fun for those age groups. Corinne is involved with ISAIAH, a faith-based community organizing group in Minnesota, and is energized by God’s call to love and justice, particularly in the areas of immigration and racial justice. A suburban Chicago native, Corinne, her husband Greg, and their Italian Greyhound Vinnie are happy to call Minnesota home as of May of 2016. 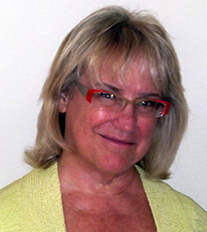 Jeanyne Slettom is a UCC minister and theology professor whose primary interest is process-relational theology. A theologian and teacher, writer and publisher, she has taught at Claremont School of Theology and United Theological Seminary of the Twin Cites and served churches in California and Minnesota. 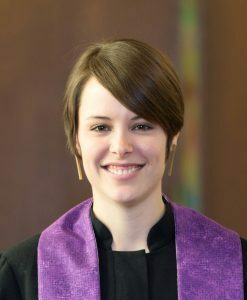 In addition to being the publisher of Process Century Press and series editor of Toward Ecological Civilization, she is theologian-in-residence at Macalester-Plymouth United Church in St. Paul and an award-winning preacher whose online liturgies and commentaries have been used by practicing preachers around the world. She is passionate about ecotheology, prophetic resistance, and a ministry of transformation and hope. A past director of Process & Faith, her PhD is in Philosophy of Religion and Theology from Claremont Graduate University. She lives and works on the banks of the Mississippi River.